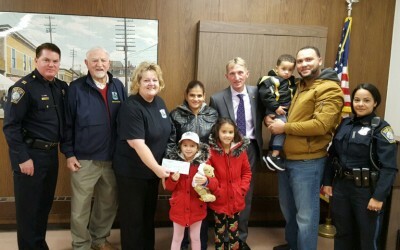 On Friday, December 8, 2017, Mike Weir (CFKWC) went to the Plymouth, Mass. 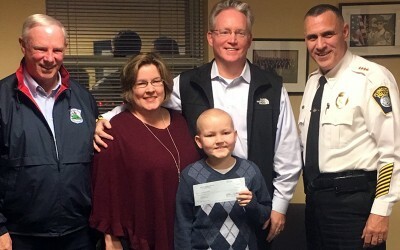 Police Department and made a donation to the family of Daniel Stephenson. 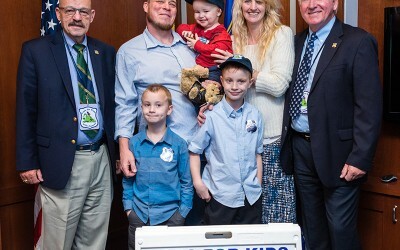 L- R, Mike Weir, mom Lori, dad Scott, and Chief Mike Botieri. December 6, 2017. 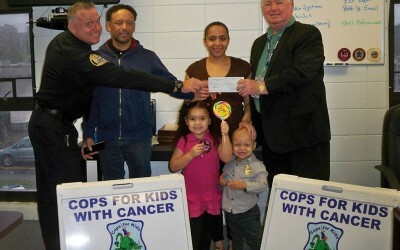 Chief Brian Kyes (Chelsea) presents check for $5,000 from Cops For Kids With Cancer to young Edison and his mother. 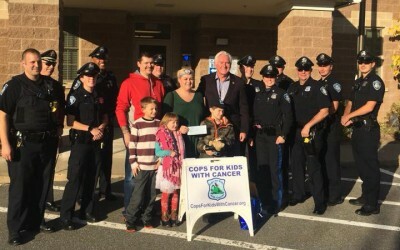 On 10/26/2017, Ed McNelley of CFKWC went to Lawrence Police Department and made a donation to 2-year old, Brendan Cruz and his Mom. Thank you to all the men and women of Lawrence Police Dept. for their assistance. 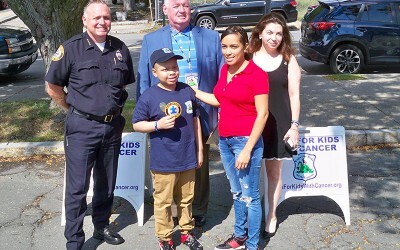 On 10/17/17, CFKWC board members Steve DaCorta and Paul Ivens made a donation to Michael Bergin and family, at Boston Police Headquarters. Michael aged 2, was accompanied by his brothers and parents. 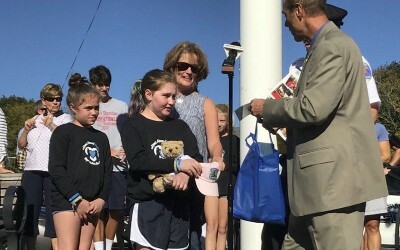 On 10/10/17, Mike Drummy of behalf of CFKWC made a donation to the family of Sophia Smith, age 11 of Marblehead, Mass. 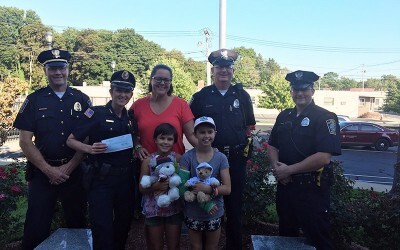 Sophia, her twin sister Annabelle and mom Jennifer, were on hand for the donation.